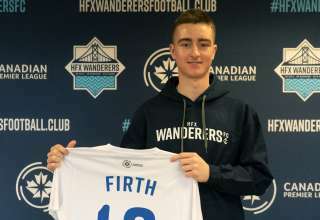 Near the end of November, Zachary Sukunda was announced as the first player signing in the history of the Halifax Wanderers. 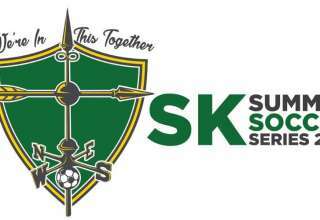 When the announcement was made, Sukunda got a call from his old Montreal Impact Academy teammate, Chakib Hocine. And Hocine had a surprise for his old friend. As Sukunda’s deal was announced, Halifax and Hocine were just coming to terms on a deal that would bring the six-foot-five Canadian defender back to his home country. Hocine played in the Montreal Impact academy system and played for FC Montreal of the USL in the 2015 season. Hocine spent last season with Finnish side Ekenas IF. At six-foot-five, he is expected to be a commanding presence in the box. He was with Ekenas IF of the Finnish second division, and enjoyed a great season where he was nominated for defender-of-the-year honours in the second tier. He had offers from first- and second-division teams in Finland. But, after a couple of phone calls with Wanderers coach Stephen Hart, he decided to make the move to the Canadian Premier League. “It was a very good season for myself and the team,” he said. 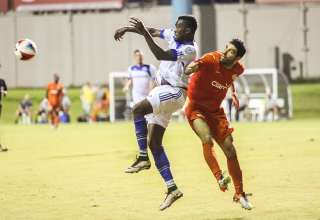 At Ekenas, Hocine played with former FC Edmonton midfielder Hanson Boakai. 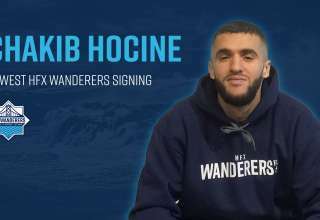 But, not everything about Hocine’s signing went so smoothly. He put pen to paper on a deal in mid November, and he really wanted one of those cool CanPL hoodies that the players wear when they’re unveiled by their teams. He waited. And waited.